and Luna Lovegood (daughter of The Quibbler magazine's editor). 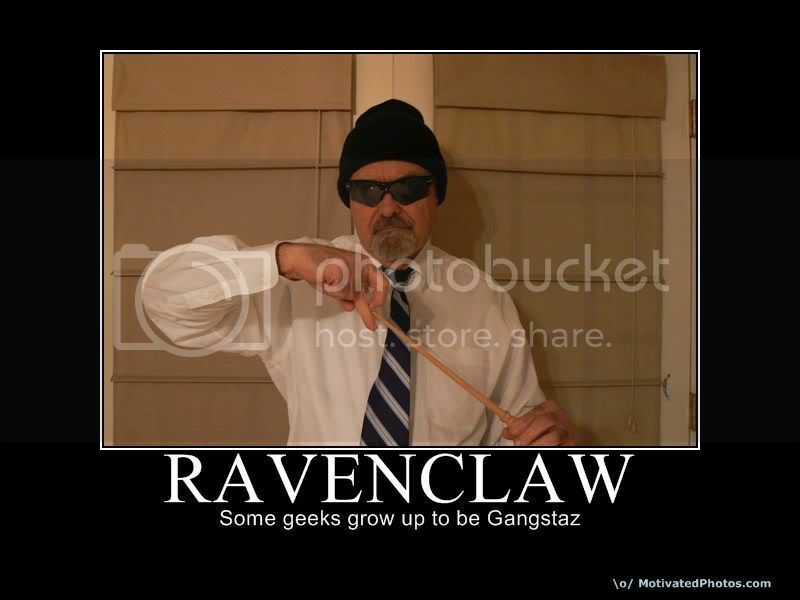 Other notable Ravenclaws are Professor Filius Flitwick, celebrated dueling champion and Charms Instructor and Moaning Myrtle, one of the Hogwarts ghosts. Prefect '65 & '66, Head Boy '67, 14 N.E.W.T.'s. "Wit beyond measure is man's greatest treasure."